We used to sing a little song that maybe you did too. It went something like this, “This Little Light Of Mine- I’m Going To Let It Shine!” It reminded us to remember the words of Jesus when he told us that we would be the light of this world. Our blessed beacon should be blasting so bright that whenever anybody gets a glance of the glory pumping through us they would be ale to give praise to the Father in Heaven who has made this divine electricity possible! God’s not too crazy about darkness. He pronounced quite demonstratively, “Let there be Light” and with just the power of his word- all of creation became quite pronounced- boldly bounding into view. We are told that men still love darkness rather than God’s beam of brightness mostly because sin gets to hide in the back corners of dusk. But if we walk in the splendor of the Son- we see what we could never conceive when the power is out! How is your holy wattage today? Could we be experiencing volts of victory venturing via your veins today? God gave you talents and abilities, a personality and a unique persona not just to hide under a bushel! You are at your best when you are operating on all cylinders! There is nothing worse than wasted potential and unused and never opened gifts! Count how many times during a twenty four hour period that you could be amazing but you settle for a dimming mediocrity? God wants to ignite inside of you a passion that sets your path ablaze! We don’t have an indefinite amount of days to dazzle and that is why we need to determine to do it up now! 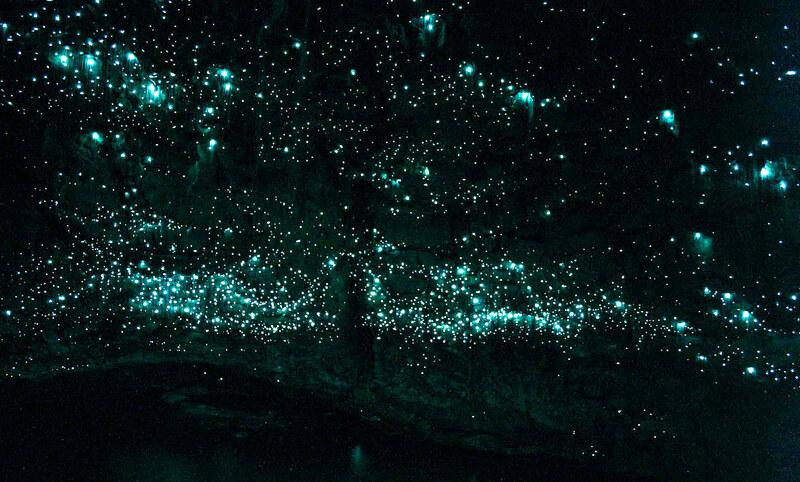 There is a cave in New Zealand. They have Glowworms. The inside of the cave is lit up and it’s an amazing and extraordinary sight. The lucidity is being launched by thousands of these phosphorescent little creatures. They spend most of their lives as larvae. When they finally do hatch and get their wings, believe it or not, they have no mouths. They have no way to feed. They only live for one single day. They get one day to fly. They get one day to attract a mate, get married, have children, and then they die. One day. I guess they have no time to waste huh? They can’t take a day off to not shine! What about you? God has given you a lifetime to be illuminated! When you ignite your light- the world becomes a witness to the radiance that is creation’s truest reality! God has plans for you to be His eternal flame! Will you allow him to flip the switch? You may have the capacity and potential to be as bright as thousands of twinkling lights but if you don’t get plugged in to the power source-and if you choose to whine instead of shine- it is a pity and a pure waste of time and talent! And I believe the Father weeps because we have dimmed the devotion that could have been ours if only we were committed to the Creator! God wants to light up your life! Will you allow him to flip the switch? Can you imagine sleeping in on a day where you got that kind of invitation? Can you imagine the magic of this very day if you would just be open to learn and see things that you would never know if the Master-Creator and Designer wasn’t there to point it all out to you? Jesus is giving you the same invitation today! It is time to open up the shades and let the sunshine in and wake up and walk this wonderland with God! He wants to illumine you to all the truth that you would miss- if you choose to stay in the darkness! We were made to live for so much more! And with Jesus inside us and beside us- there is a whole new world to see-so don’t you dare close your eyes! Jesus rose from the dead- and not just so you could sleep in and throw the covers over your head! Jesus rose from the dead to show us what we would miss if he wasn’t here to show us! So as another chorus that we used to sing goes, “Carry The Torch And Lift High The Flame and March Through The Darkness In The Light of His Name Until The Glory Of God Is seen By The World!” Take that shade off your head and reflect fully the wonder of the Lord as seen through you and me!